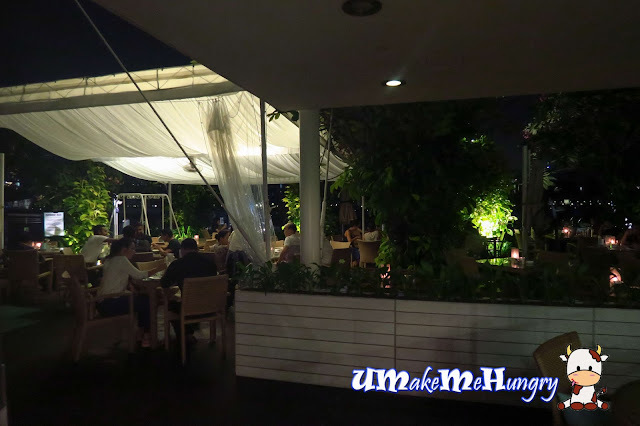 Prive is another place you can dine in for a casual yet romantic ambiance. Special thanks to my pal, Doreen for having me as her dinner partner during the cafe week. 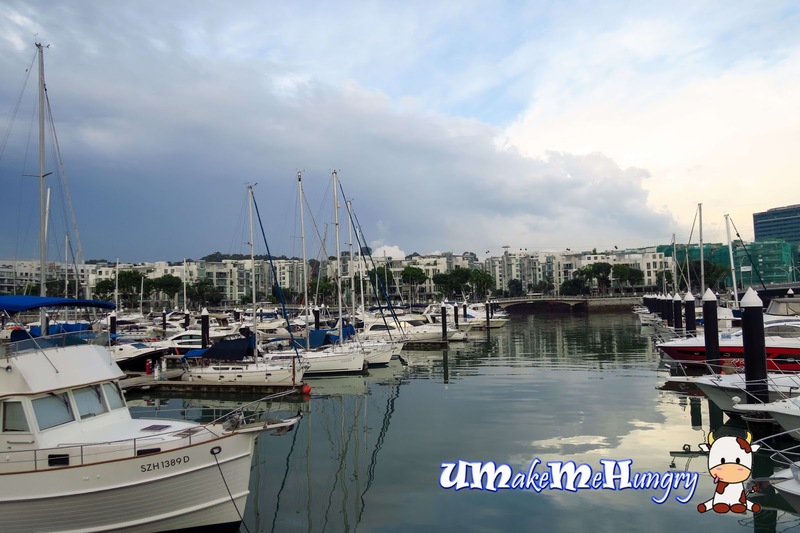 If you have visited Keppel Bay, this place should be of no stranger to you. 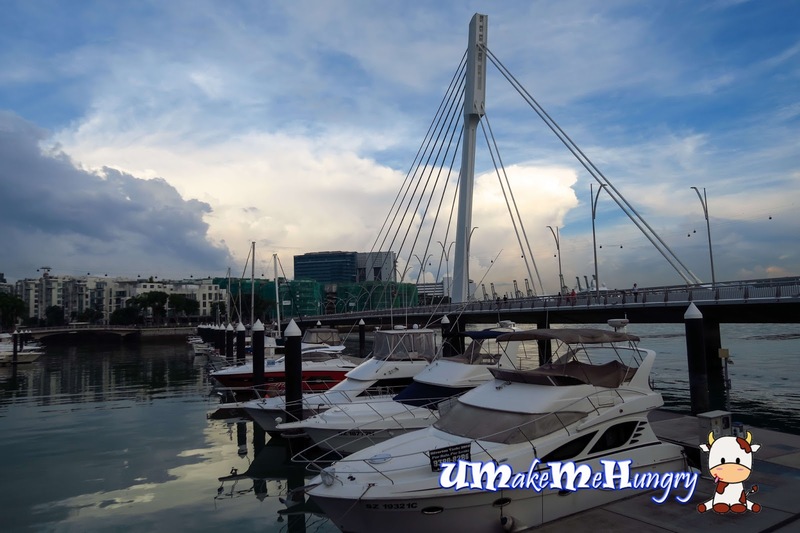 If you have not, the place may seem inaccessible for those who are taking public transport. It takes about 15minutes walk from Harbourfont MRT to Prive Cafe. 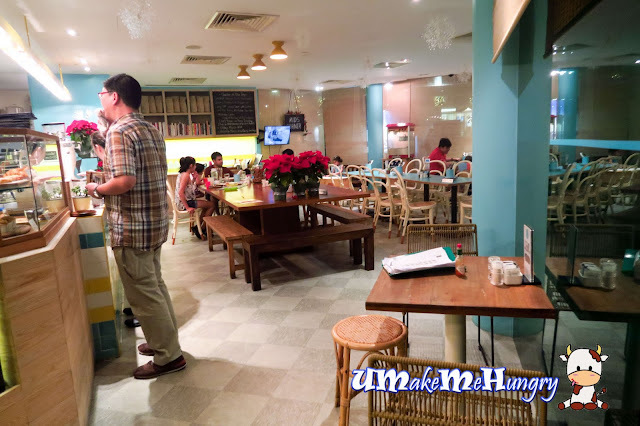 Prive Cafe offers indoor and outdoor seating. And if you enjoy having with a good view of the docking bays with private yatch, ferries around, similar to Raffles Marina, this will probably fits the bill. 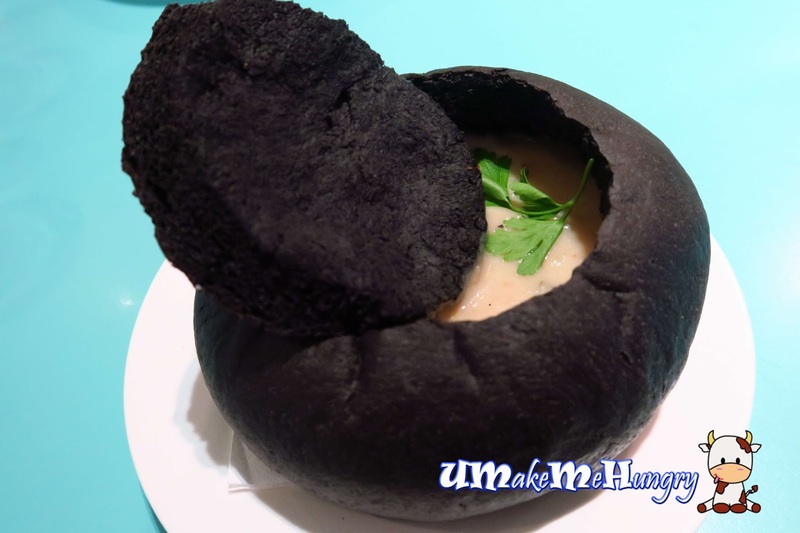 Clam Chowder caught me by surprise in their squid ink bread bowl with bacon. I would have thought its another charcoal bread again if I have not read the menu details. Chowder was chunky, thickened by the use of Idaho potatoes. Celery, parsley and clam stock were also part of their ingredient. An interesting start to our dinner with a healthy salad. Broccoli was charred to slight brown on the stalks yet still retaining its green and water content without being too dry. 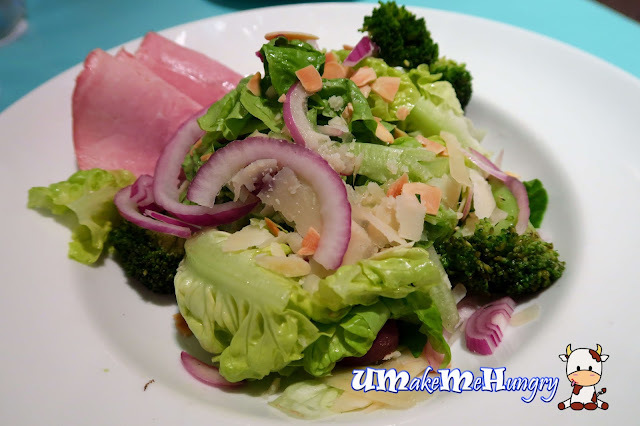 What I like best was the healthy mix of virgina ham, baby gem lettuce, avocado, spiced almonds, spanish onions, coupled with blistered grapes and shaved parmesan, drizzled with sweet honey-garlic dressing. 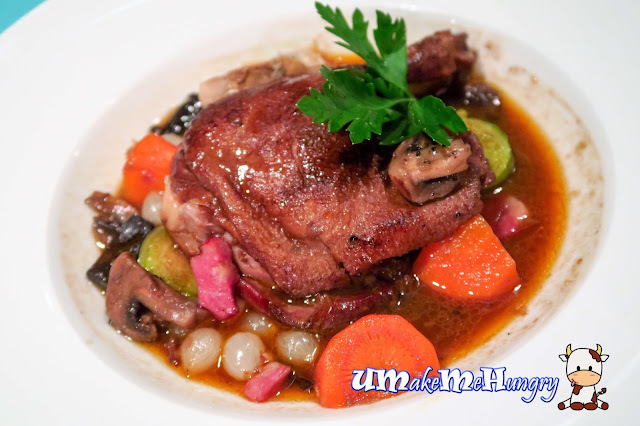 Going into the mains, we had pasta and duck leg. Aglio Olio was meant to be spicy with bird's eye chilli included. Pasta was kind of under done and still abit away to achieve from the ideal texture. 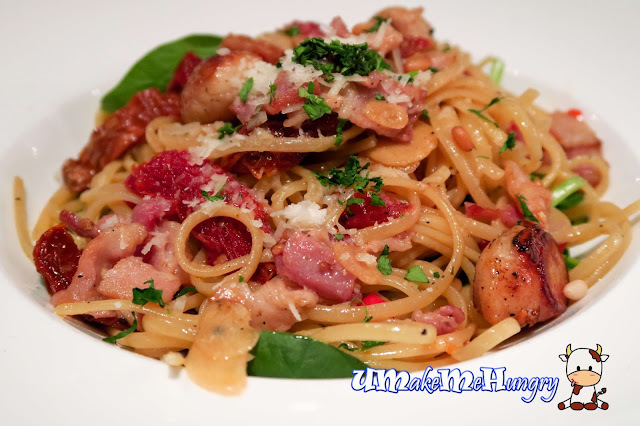 Chilean scallops , wilted spinach, smoked bacon and sundried tomatoes was in the right portion. 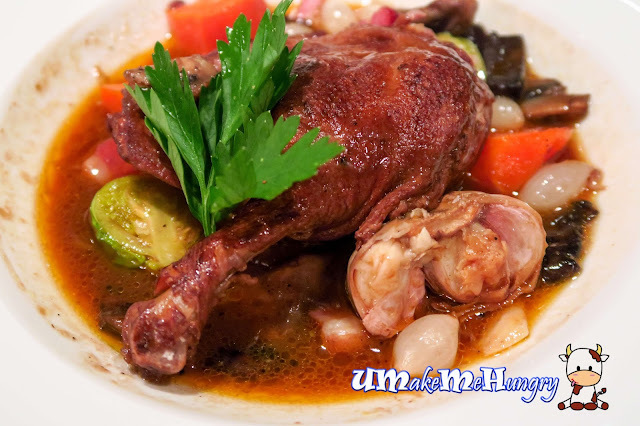 Another Main Course we had would be the tender Duck Leg Cassoulet served with carrots, pearl onions, mushrooms, Brussels Sprouts, Garlic confit and bacon. It tasted abit at a salty side but what I like best was the combination vegetables used and the fork tender meat in its luscious gravy. It would be perfect at a lighter taste. It was the best Sticky Date Pudding I had so far, I swear. 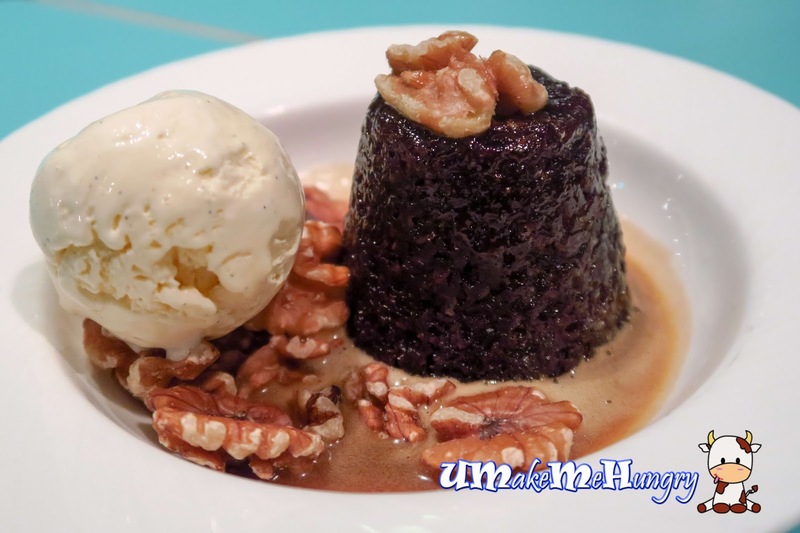 It lives up to the name as their signature dessert served with housed butterscotch and vanilla bean ice cream sprinkled with walnuts. The warm spongy pudding was awesome! 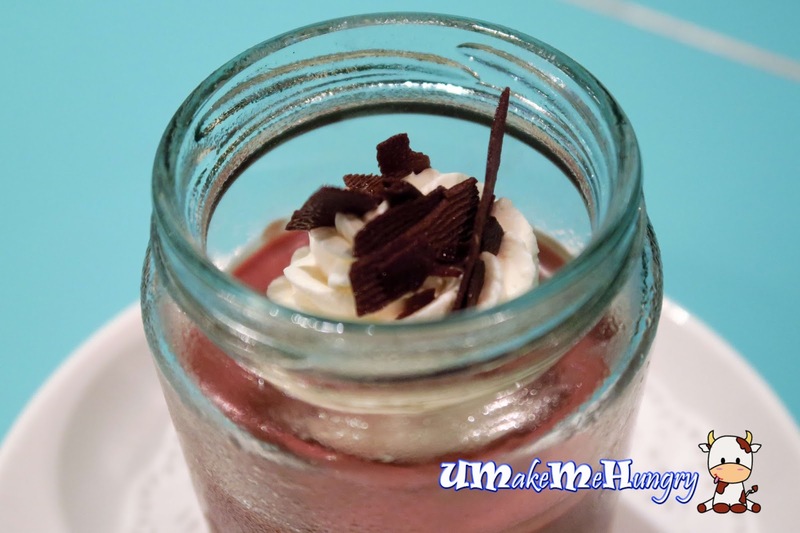 Creamy chocolate served in a glass jar with summer berry coulis and pistachio biscotti. Similar to sticky date pudding, both desserts were filling and if you were to asked for my choice. I will cast my vote to their signature sticky date pudding without much consideration.